Venison is a lean and well-flavored meat, much lower in saturated fats than mainstream alternatives such as beef and lamb. That makes it a fine choice for grilling or slow-cooking, but venison alone is too lean to make a decent sausage. Butchers and sausage enthusiasts compensate for this by adding pork fat, which moistens and enriches the venison. The sausage must be cooked gently, otherwise the fat simply renders out and leaves behind a casing filled with disappointingly dry and crumbly venison. 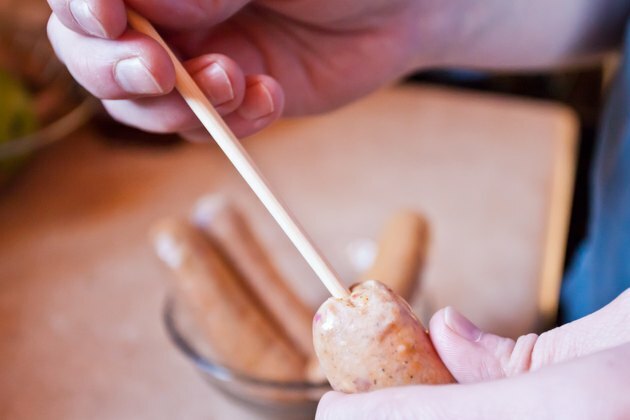 Pierce the casing of each sausage in three or four places with a toothpick or the tip of a skewer, to help prevent them from bursting when you cook them. 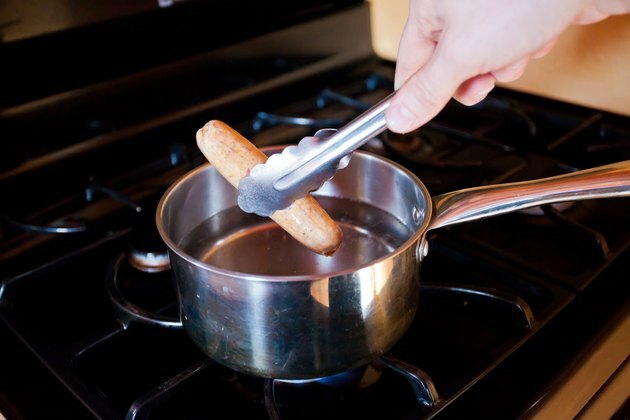 Place the sausages gently in the water, and adjust the heat to keep the water at a gentle simmer. 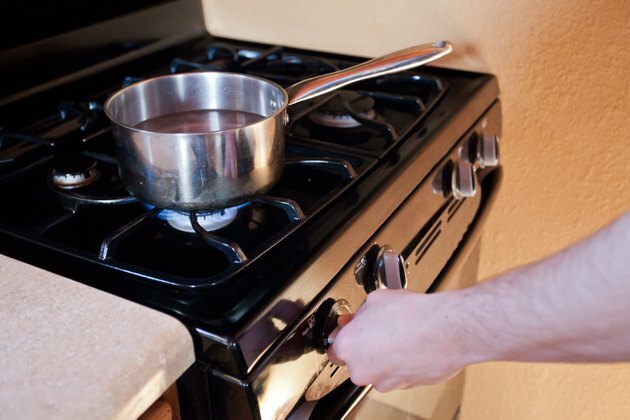 Don't let it boil, which will quickly overcook and toughen the sausages. 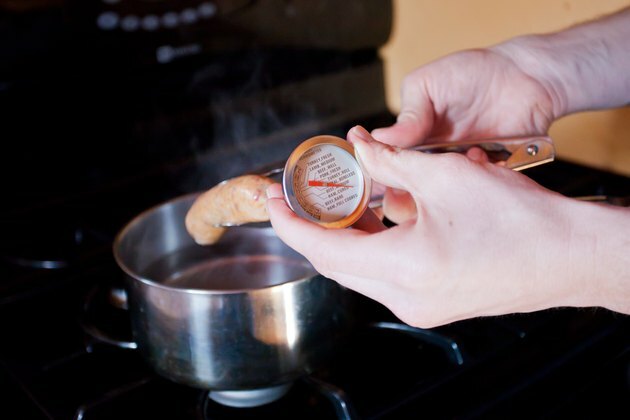 Simmer the sausages for six to 10 minutes, depending on the sausages' thickness, until an instant-read thermometer inserted lengthwise into the sausage shows an internal temperature of 160 degrees Fahrenheit. 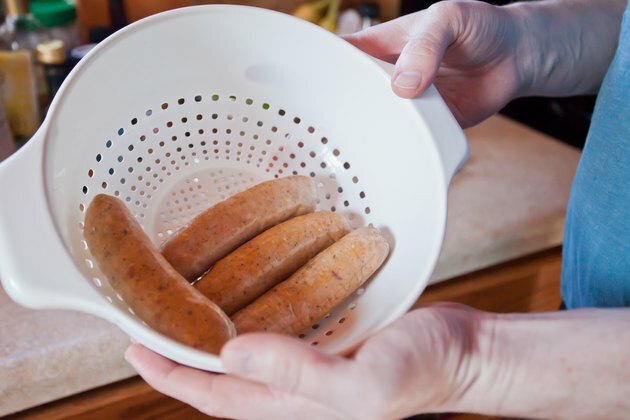 Drain the fully cooked sausages and grill or broil the links quickly until the casings are browned. Alternatively, package and refrigerate the sausages and brown them later for a quick meal. 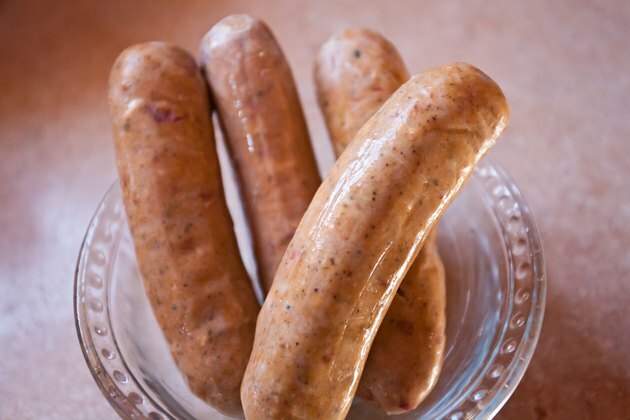 Traditional sausage recipes typically used equal parts pork fat and venison. Modern sausages typically reduce that to 30 percent fat, and as a result must be cooked more gently.